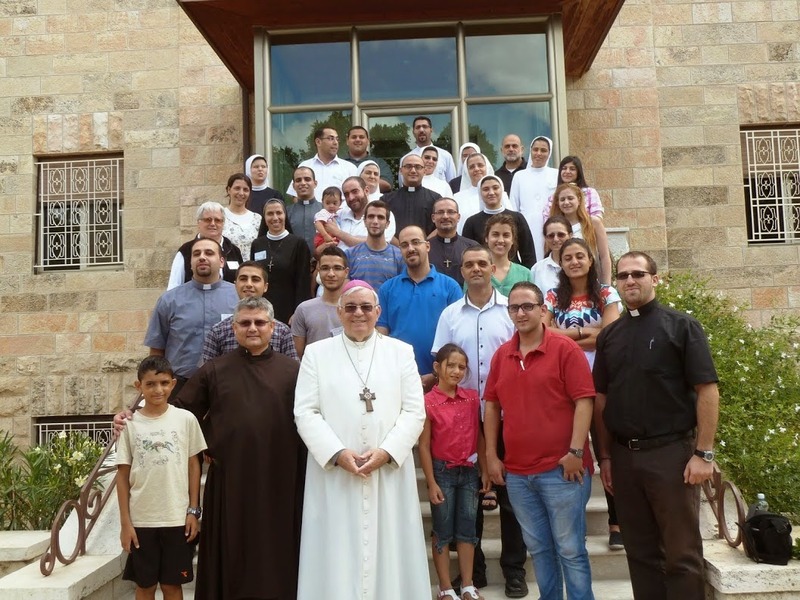 ABU DIS – On September 5–6, 2014, Fr. 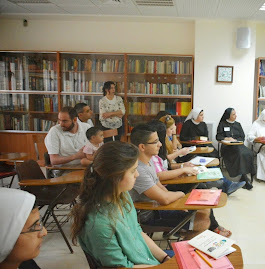 Abdo Abdo, OCD, Pastor of Haifa and Pontifical Delegate for the Pontifical Mission Societies (PMS) in the Holy Land, organized, for the first time in the history of the Church of the Holy Land, a session for missionary formation at the Comboni Sisters’ Center, Abu-Dis (Jerusalem), located right beside the separation wall. Each year a PMS delegate selects and prepares materials for the missions’ outreach. For several years this was done by Father Arturo Vasaturo. 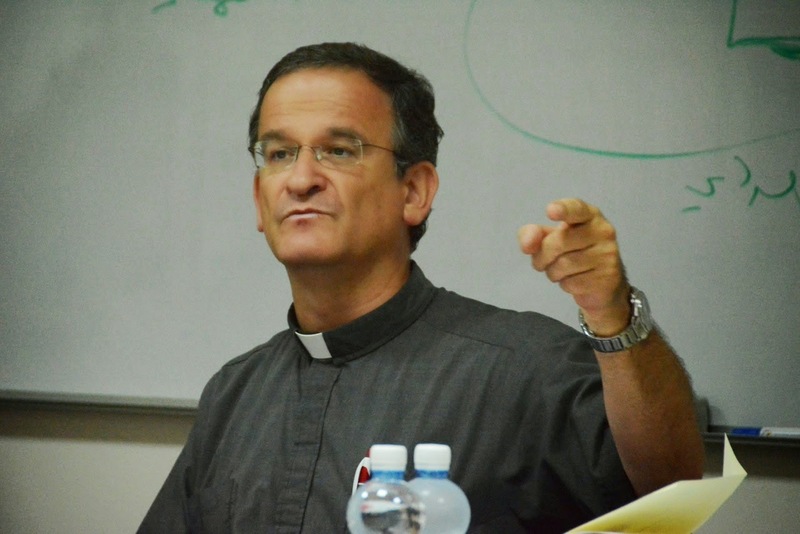 But now the general direction of PMS requires that each country, or even better every diocese and every parish, if possible, have a team for reflection and missionary action. To promote awareness of the mission and to create a group of facilitators, Fr. 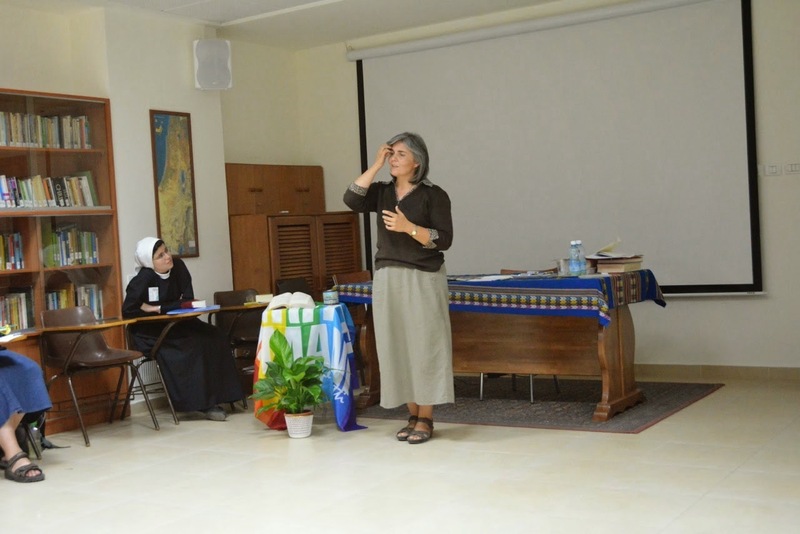 Abdo organized the session with the theme: “Formation of Missionary facilitators”. The session was forall Catholicchurchesin the Holy Land, asthe delegateis appointed by theACOHL (Assembly of Catholic Ordinaries of the Holy Land) and workson its behalf. 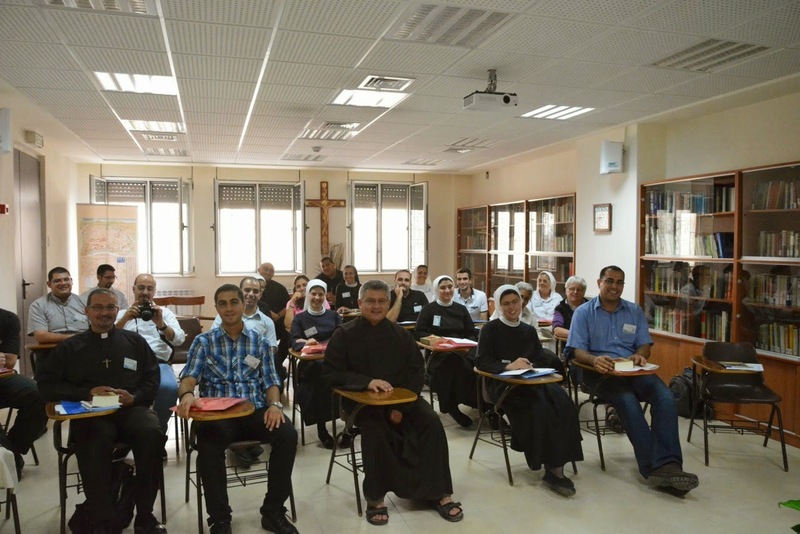 There were forty participants: one-third, the seminarians of the Latin Patriarchal Seminary in Beit Jala; one-third, religious sisters (novices of the Rosary Sisters with their Novice Mistress; the Sisters of St. Joseph of Zion; Sisters of St. Dorothy; the Presentation of the Virgin of the Carmelites of St. Therese; the Franciscan and Comboni Sisters); one-third, young people from Haifa, Akko, Nazareth and Jerusalem. 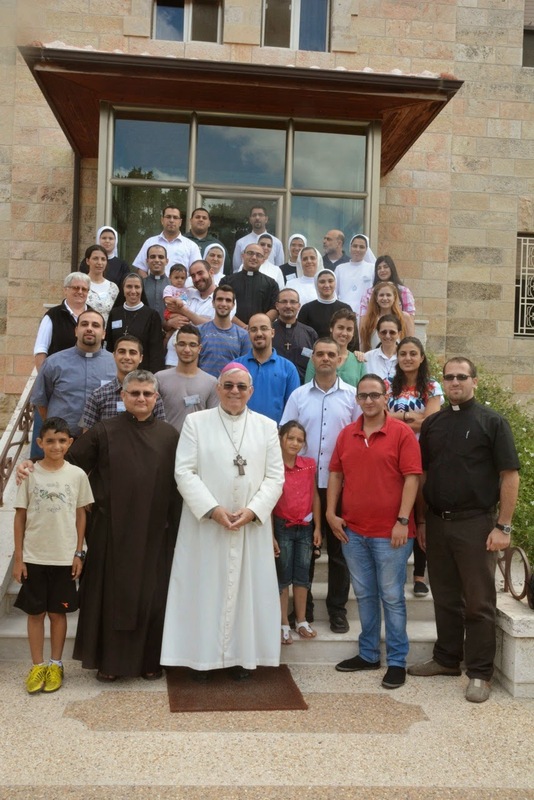 Father Abdo and Comboni Sister Anna Maria Sgaramella, secretary of the session, were “pleased with the number and quality of the sharing, but were surprised by the indifference shown by some parishes who had received invitations. There is really an urgency to create a new missionary awareness. The meeting’s program included the three conferences on the mentioned topics, and small work groups to share experiences and views on the question “Who is and should be the missionary parish leader?” Group proposals were then collected in the General Meeting and, in the future, will be based on a working paper for this group of leaders and congregations. The basic official documents used by speakers and participants were: the Vatican II Decree “Ad Gentes”; the Encyclical “Redemptoris Missio” of John Paul II; the Exhortation “Ecclesia in Medio Oriente” of Benedict XVI; the Exhortation “Evangelii Gaudium” of Pope Francis and his “Message for World Mission Sunday 2014”. The program was interspersed with times of prayer, testimony, and fellowship. 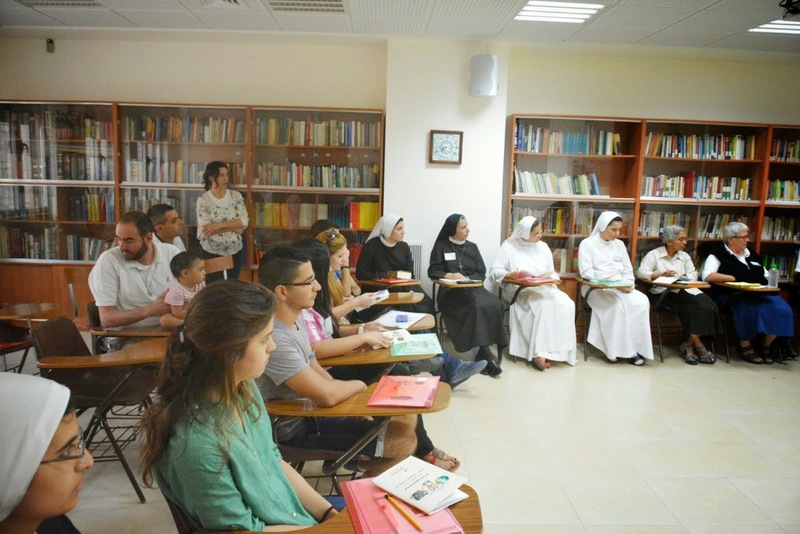 Encouraged by the success of this session, supported by AOCTS and PMS local office, Father Abdo is thinking of organizing such initiatives more than once a year and involve mission facilitators in large gatherings for young people, like World Youth Day and “Meetings of Loreto”. There are four Pontifical Mission Societies: Pontifical Society for the Propagation of the Faith, Pontifical Society of St. Peter the Apostle, Pontifical Society of the Holy Childhood, Pontifical Missionary Union. They all depend on the Congregation for the Evangelization of Peoples. The Pope and the Church in general rely heavily on them to promote evangelism. By our Jerusalem correspondent. Photos and T.H. and A.M.